The grounds that are now Showa Kinen Park used to be an air base belonging to the Japanese military. After WWII, the US military occupied the air base and surrounding areas. 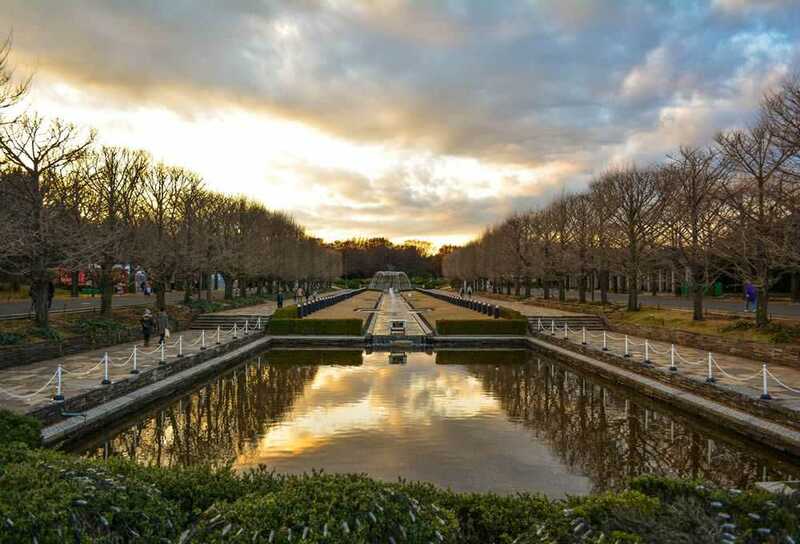 The grounds were eventually returned to Japan by 1977, and it was decided that a large part be developed as a memorial park to commemorate the 50th anniversary of the Showa Emperor’s accession to the throne. The park was opened in 1983. A small museum which commemorates the Showa Emperor and Empress Kojun opened in 2005. The grounds that are now Showa Kinen Park used to be an air base belonging to the Japanese military. After WWII, the US military occupied the air base and the surrounding areas. The area was eventually returned to Japan by 1977, and it was decided that a large part be developed as a memorial park to commemorate the 50th anniversary of the Showa Emperor’s accession to the throne. Cycling, barbecue, disk golf, boating, petanque, and croquet are some of the many activities you can enjoy at the park. The park features a 14-kilometer cycling course, and bicycles can be rented at the park. During the winter, some areas inside the park are illuminated. There are a few days in a year where the entrance fee to the park is free, Showa Day (April 29th) being one of them. However, the entrances get very crowded so it is not recommended. The park generally closes from 4 p.m. to 5 p.m. (may change due to events). The park is closed on New Year’s Eve, New Year’s Day, and the fourth Monday of February and the following day. 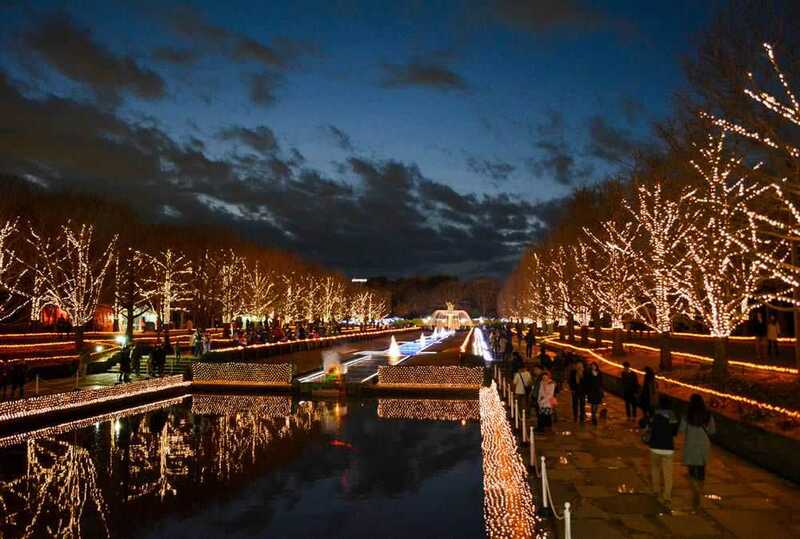 The park is closest to Nishi-Tachikawa Station(via a 2-minute walk) on the Oume Line. The Oume Line often directly connects to the Chuo Line. From central Tokyo, one can easily access the park by using the Chuo Line departing from Shinjuku or Tokyo Station. The park can also be accessed via a 10 minute walk from Tachikawa Station or Tachikawa Kita Station.